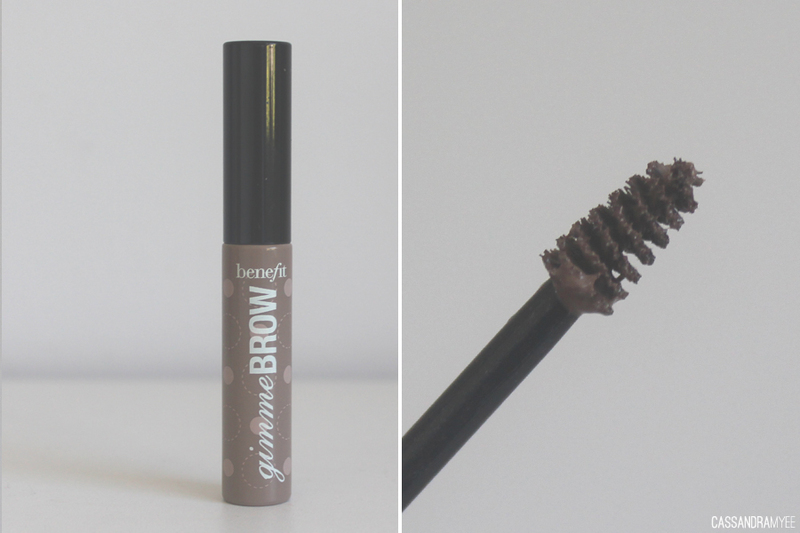 Gimme Brow is described as a brow volumising fibre gel, I would say it has way more of a mousse like texture rather than a gel. This comes in 2 shades, Light/Medium or Medium/Deep for more darker haired gals. I could probably get away with either shade, but went with the lighter one as it is easier to darken up the brows if needed. 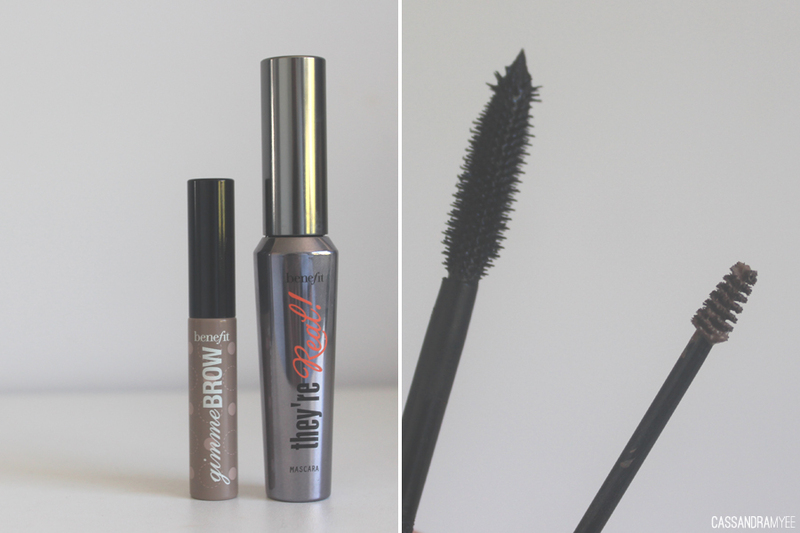 As you can see the Gimme Brow is teeny tiny, and I used the They're Real to show just how small it is. The small brush means it fits to the brows perfectly, and the tapered end helps to get the shorter and finer hairs towards the tail of the brows. 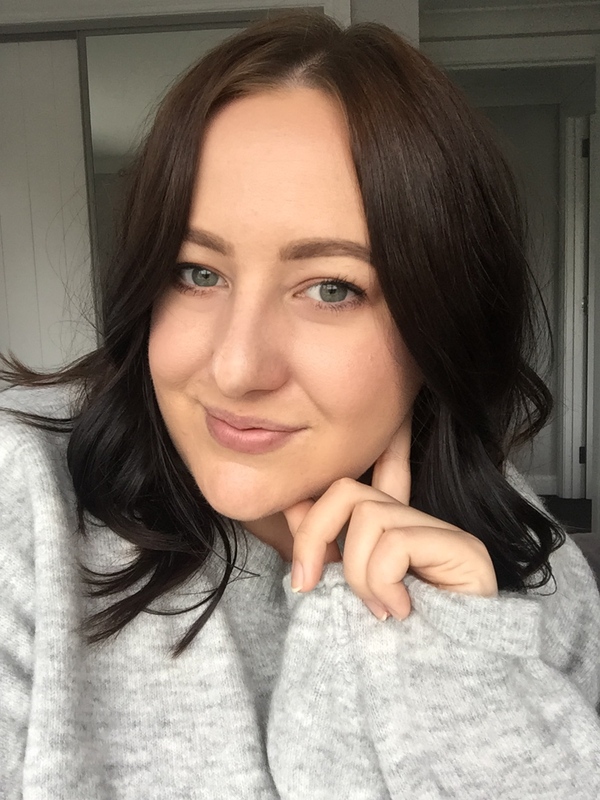 Please ignore the rather messy brow shaping situation happening and lack of any eye makeup - but you can definitely see a difference to the brows by just using this product. I find it definitely gives more volume to the hairs and tints them whilst still looking very natural. I don't ever actually use it by itself, but if you want a very natural look and are in a hurry, this product could be right up your alley. The downside is that you can't get a crisp line, so that is why I always use a pencil to shape and define the brows and then use this over top to brush the hairs into place to set, and add a hint more colour. The mousse formula dries down but does not feel all crispy like brow gels can tend to do. 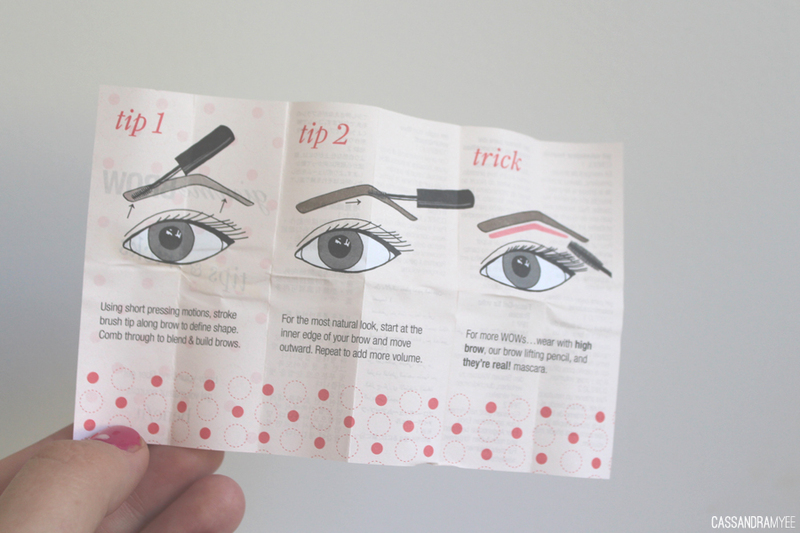 I use this on the daily and it is a staple in my brow routine. I brought mine direct from the US Benefit website for USD $22 (around NZD $25), as they offer free shipping with orders over USD $125. But if you don't want to wait for the shipping from the States you can buy it at Smith + Caugheys in Auckland, or the ship nationwide online, and it costs NZD $41.00 here. 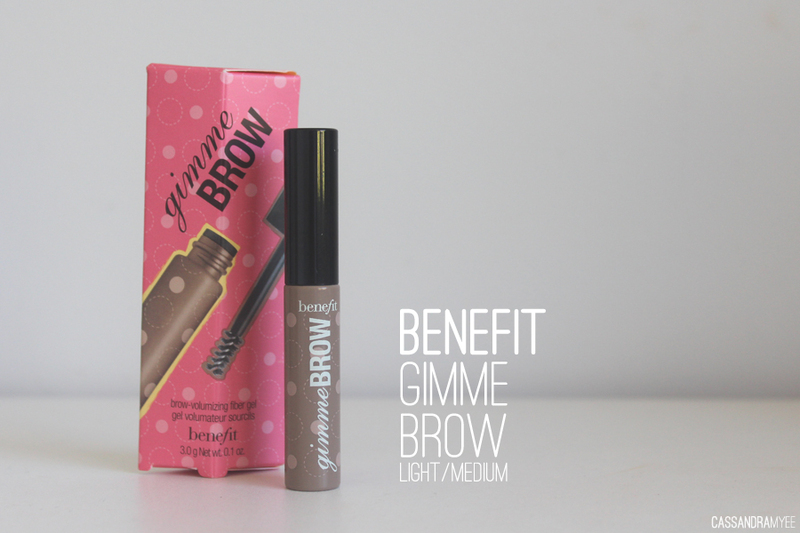 Do you own Gimme Brow? 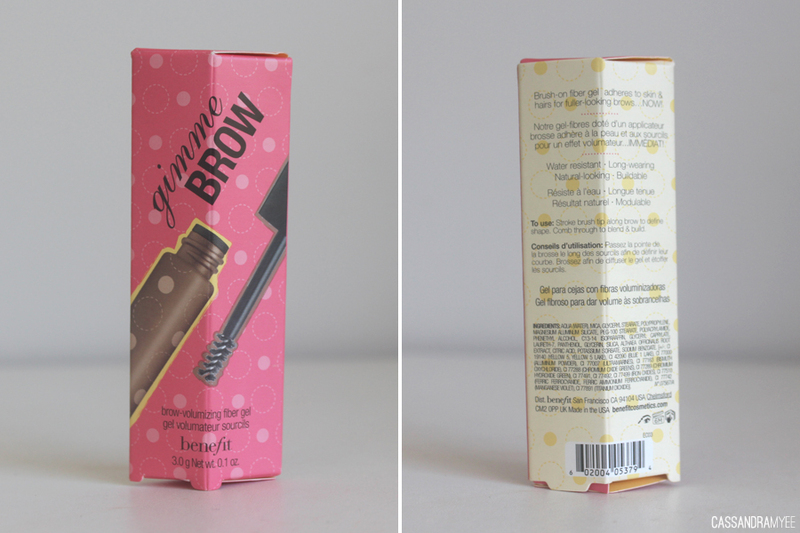 Or do you know of any other alternatives to this kind of brow product?